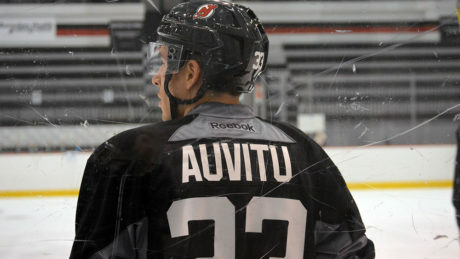 Images from the New Jersey Devils morning skate. Group A will face the Philadelphia Flyers at 7 pm. Saturday was the second on-ice day for the New Jersey Devils at the 2016 Training Camp. Here is a look at Group A. The New Jersey Devils and Albany Devils players arrived at Prudential Center for the start of the 2016-17 Training Camp. 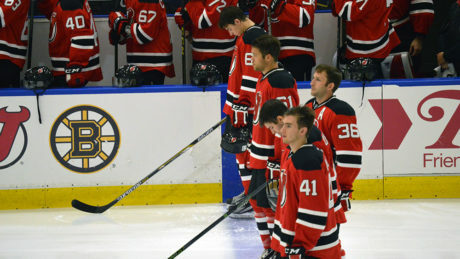 Photo gallery from the New Jersey Devils game against the Boston Bruins at the 2016 Prospect Challenge. Images from the New Jersey Devils morning skate before their game Sunday against the Boston Bruins at the 2016 Prospect Challenge. 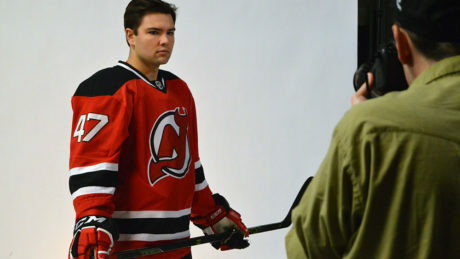 The New Jersey Devils began the 2016 Prospect Challenge with practice Friday. Go behind the lens of Thursday’s Game 5. Photo gallery from Game 4 of the North Division Final between the Devils and Marles. 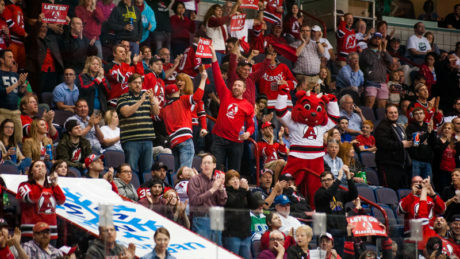 The Devils 3-2 overtime victory against the Marlies from behind the lens. 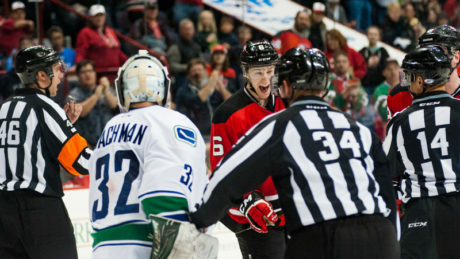 Here are some of the best images from the Devils Game 2 victory.